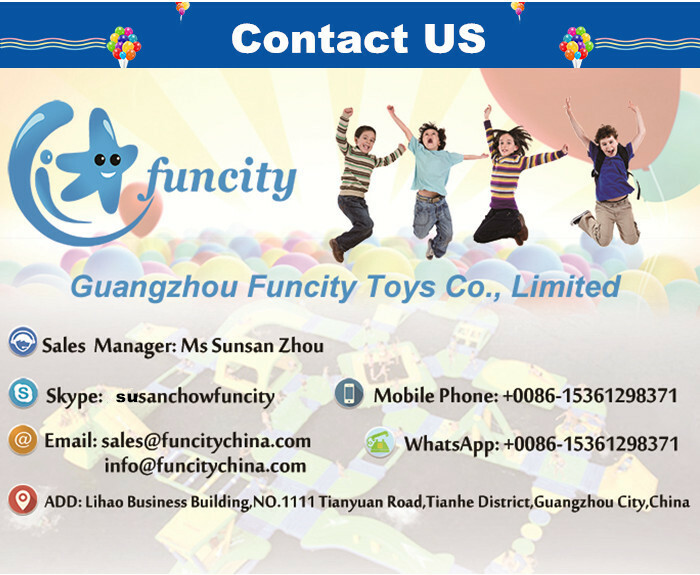 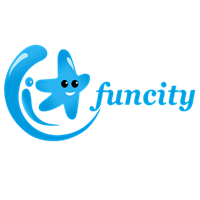 Guangzhou Funcity industrial co., limited is the biggest and most professional inflatable manufacturer in China! 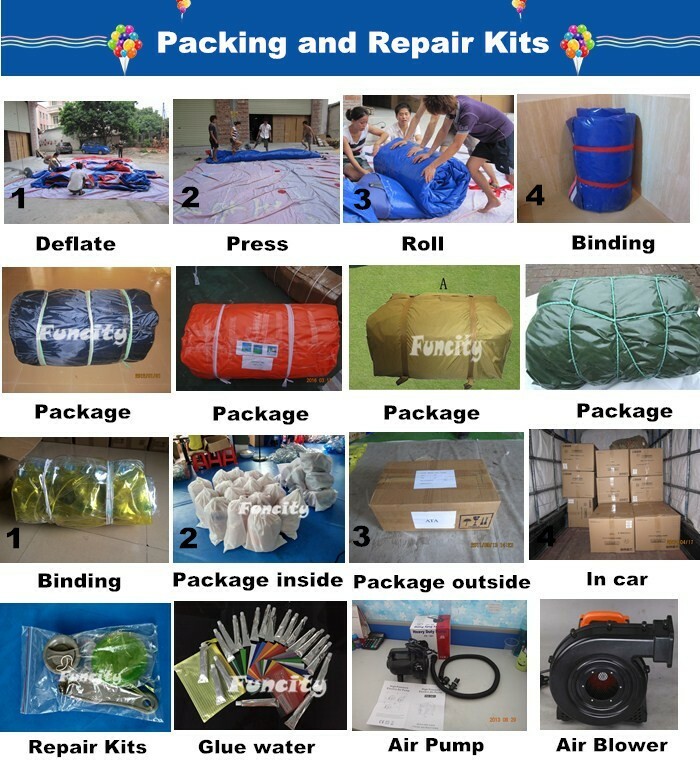 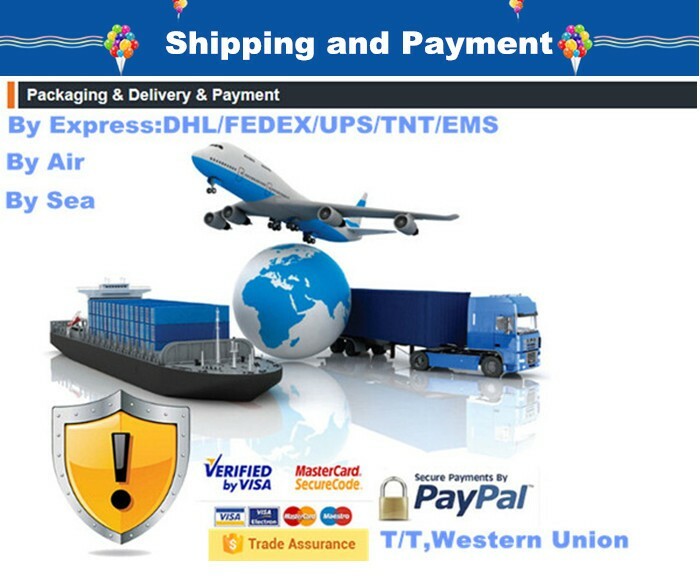 We enjoy good reputation from our customers all over the world! 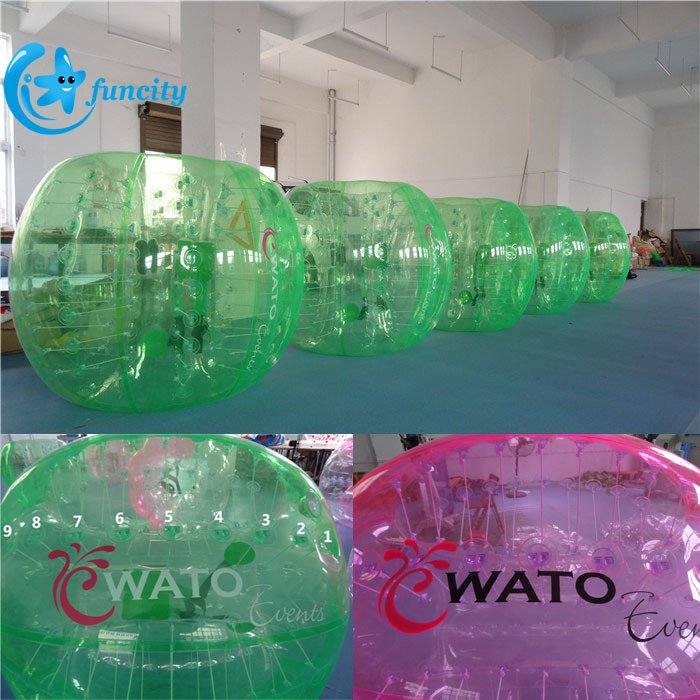 The most important, we can offer you best quality, competitive price, attractive design, first-class service and creative ideas. 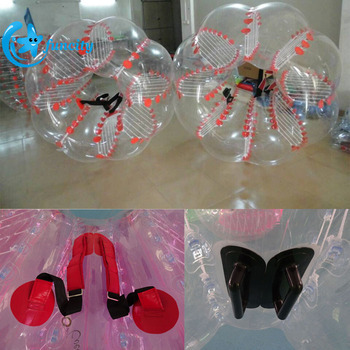 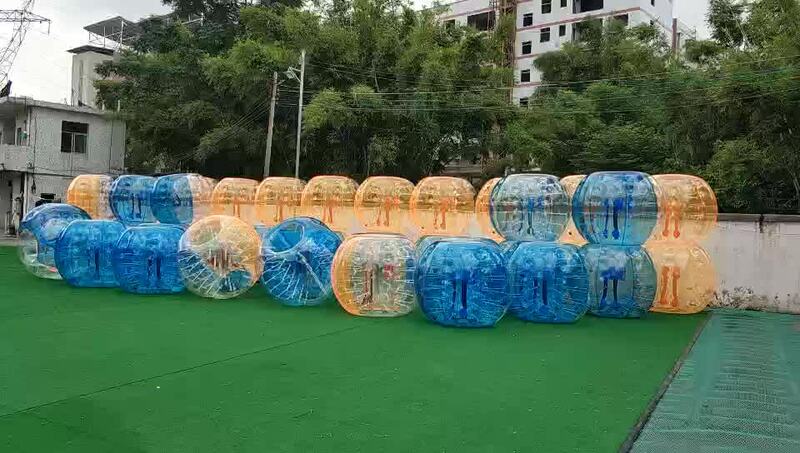 Inflatable bumper ball is a fashionable sport toy which made from PVC/TPU. 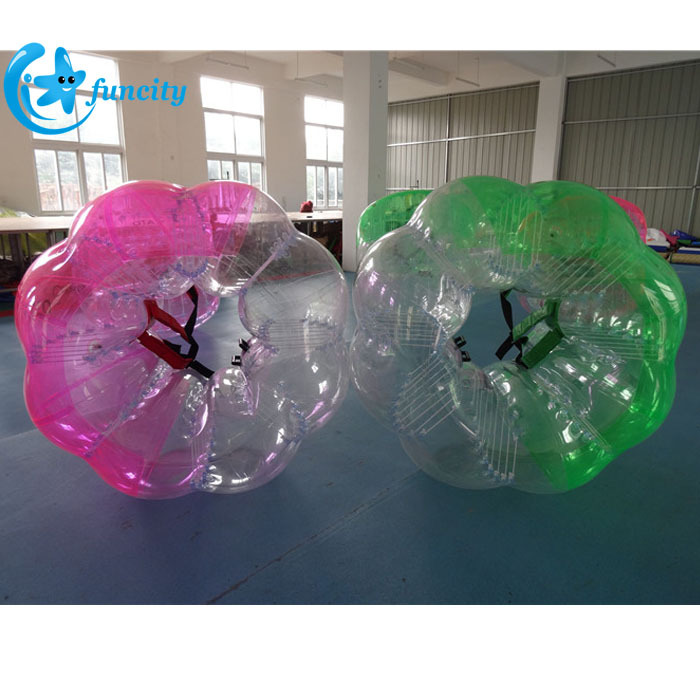 There are three sizes: 1.2m (for kids), 1.5m and 1.8m (for adults). 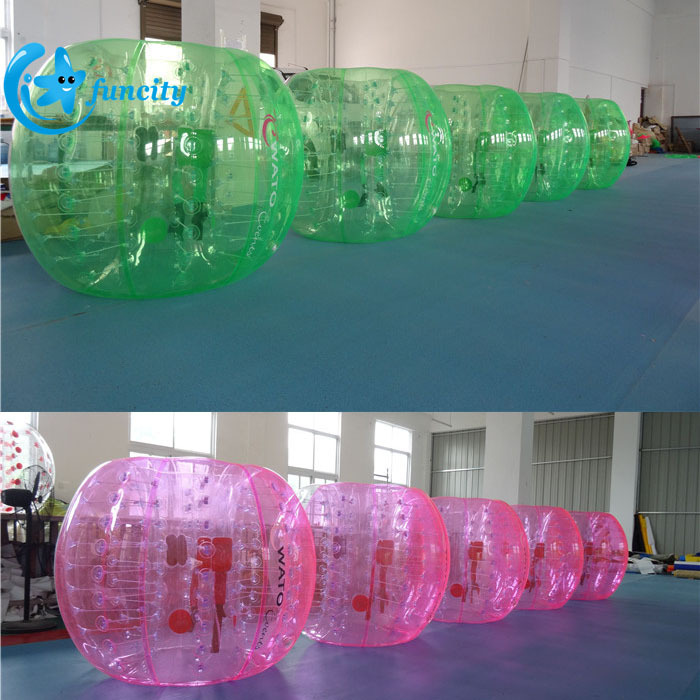 Children and adults can bump each other or play a football game through wearing this bumper ball. 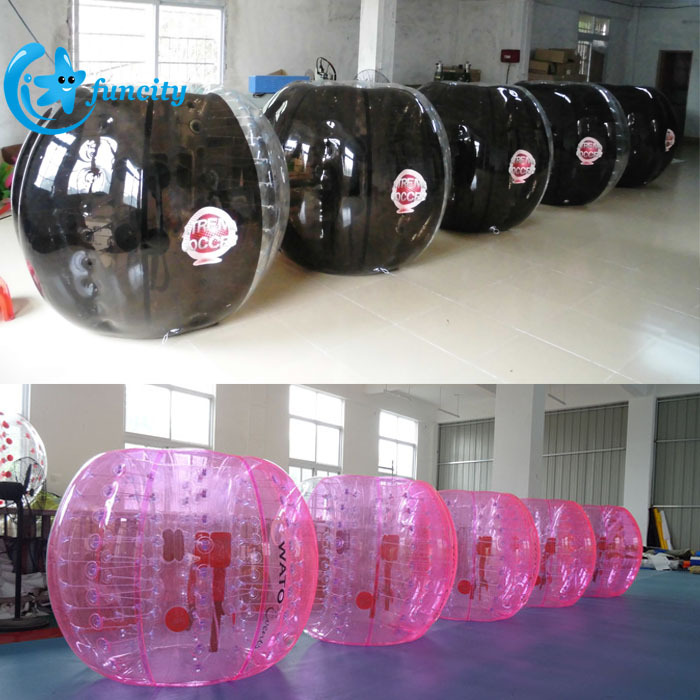 Because of the protecting of bumper ball, the players can run or roll on the land without danger. 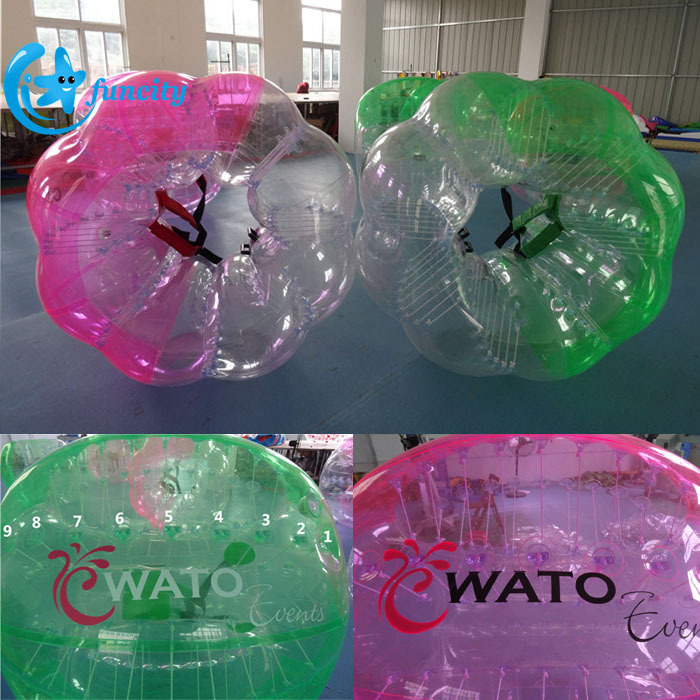 It is a fantastic toy for children, family, colleagues to enjoy the holiday.